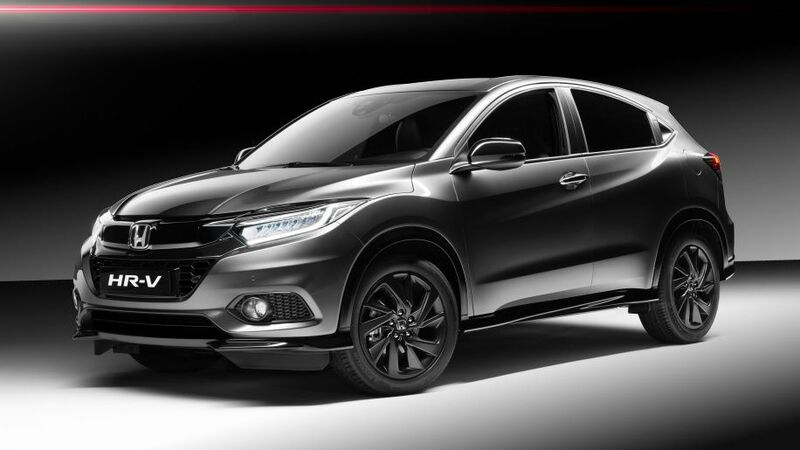 Honda introduced the “sports” version of the HR-V crossover for the European market - the HR-V Sport with a 1.5-liter Civic gasoline turbo engine, 18-inch alloy wheels and a Performance Damper system. Honda HR-V Sport got a 1.5-liter gasoline turbo engine of the Earth Dreams series, used in the latest generation Civic. In combination with a 6-speed manual gearbox, the maximum power of the unit is 182 hp. - available at 5500 rpm, with a variator - at 6000 rpm. The maximum torque in the version with manual transmission is 240 Nm (at 1900 - 5000 rpm), with the variator - 220 Nm (at 1700 - 5500 rpm). Performance Damper is included in the sports package. The damper system built into the front and rear of the car increases chassis rigidity, reduces vibration on rough roads and improves stability when sudden changes in the lane are made. The steering, modified specifically for this version, was supplemented with a Honda Agile Handling Assist. The Japanese worked on the exterior and interior of the car. It differs from the other modifications in the “sport” black chrome accents, including the mesh grille, side mirror housings, dual exhaust pipes and 18-inch alloy wheels in the new design. Thin front splitter, side skirts, wheel arches, and a more aggressive rear bumper are painted black.